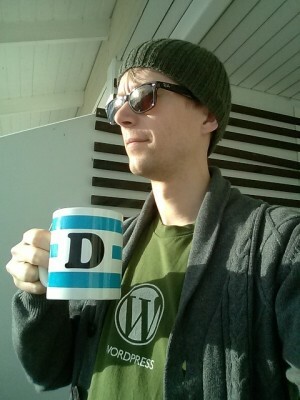 So here goes: I’m the main translator for the Finnish version of WordPress and get paid by my employer H1 to work on interesting WordPress projects all day long. My first experiences with WordPress date back to 2005, professionally since 2008. I’m traveling to Leiden with all my beautiful colleagues (Aki, Jaana, Marco and Markus) so it’s going to be a grand weekend! We’re arriving in Leiden on Friday evening. See you there folks! Meanwhile you may connect with me on Twitter. Thanks to my employer, I got to go to WordCamp Stockholm, which was held yesterday at the Waterfront Congress Centre in the heart of the city. Witnessing the enthusiasm of Swedish WordPress developers and users was inspiring, and we picked up some good plugin and development tips along the way. For those who understand Swedish, most of the sessions were filmed and can be found on Bambuser, tagged ‘wpstlhm’.